WhyWeVote in Progress–Want to help? So, the new version of WhyWeVote is in progress and the team is forming. If you’re interested in joining, drop me a line at whywevote@nikitab.com . OK, not to brag or anything, but Google flew me out for an interview recently. Really flattering – got a phone call completely out of the blue that ended with them bringing me out to their Mountain View office… airfare, car, hotel – all paid. Thank you Google. 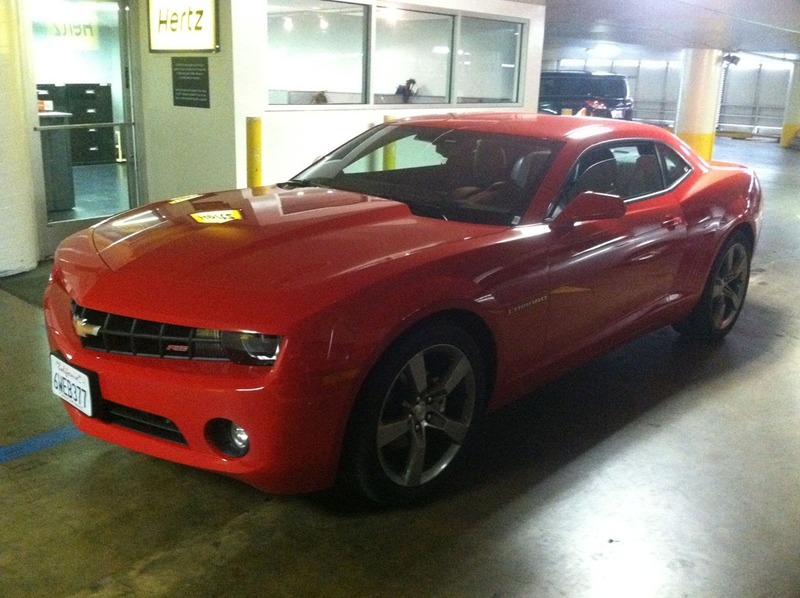 And thank you Hertz for hooking me up with a brand new Camaro (on the right). So I recently discovered (the hard way) that if you set up a group on Google Apps to receive and distribute emails from Paypal (like if you want to have sales@yourdomain.com for instance), this will not work. In fact, the email never gets delivered to the destination and just disappears into the ether. After a call with Paypal and a post on a Google Apps support forum, I’ve set up DKIM and it worked. This, given that Google and Paypal compete, is super-shady. Why didn’t it get delivered into my spam mailbox at least? Google, very disappointed in you.